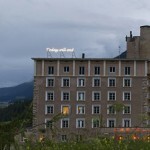 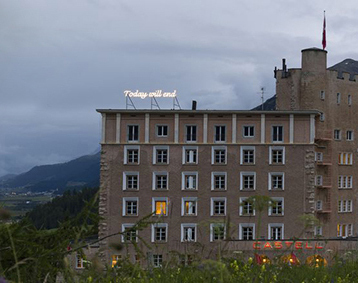 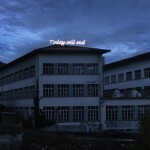 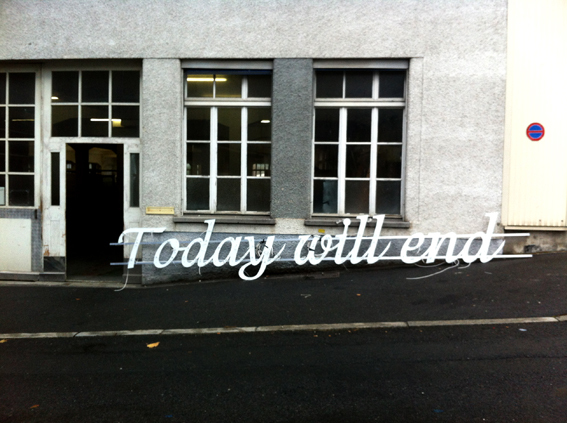 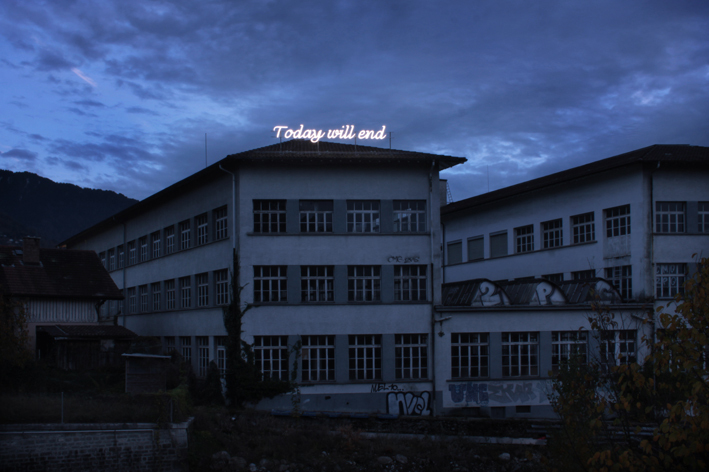 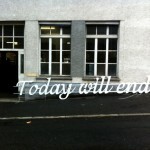 Shilpa Gupta’s neon « Today Will End » was produced by Einzweidrei in 2012 for the Apo-calypse exhibition, in collaboration with neon maker Enrico Lavalle (Interneon). 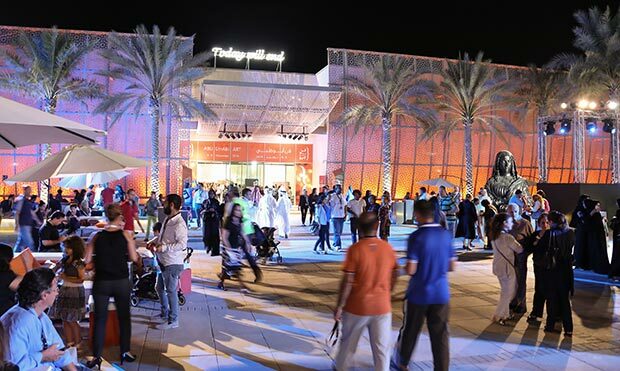 It was then exhibited at St-Morits Art Masters with Yvon Lambert gallery and finally at Abu Dhabi’s Artfair 2015 with Continua gallery for the Beyond large-scale artworks exhibition. 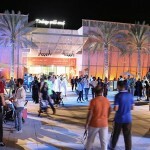 It belongs now to one of the most important collector in the Middle-East and may stay on permanent public display in Abu Dhabi.